Works on suspended particles such as dust, debris and dead algae. Enables particles to settle for vacuuming to waste. 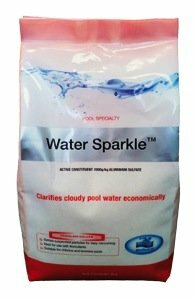 No effect on most other pool chemicals, such as chlorine, bromine, algaecides or balancers. Clears cloudy pool water economically. Suitable for either chlorine or bromine pools.